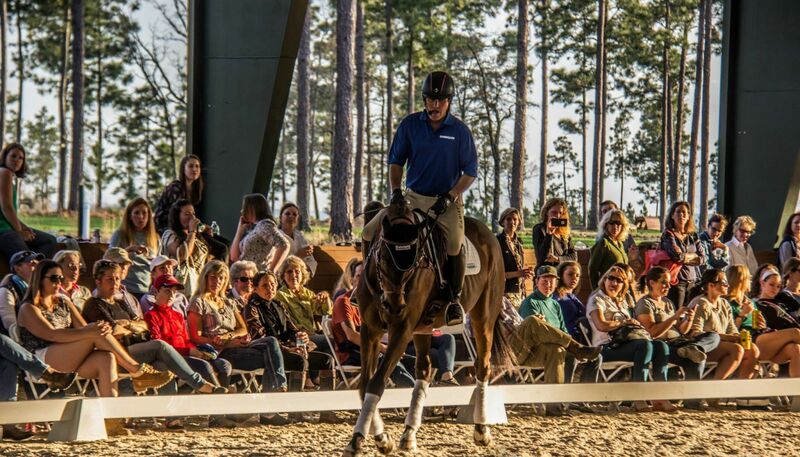 Stable View, the official home of the Aiken Masterclass, is now gearing up to host its very first Advanced event. Photo by Taggert VinZant/Stable View. Entries opened on Tuesday for Stable View’s Oktoberfest Horse Trials, which will host the venue’s inaugural Advanced level event on October 1 and 2 in Aiken, South Carolina. With up to $60,000 in prize money for the Advanced division and an additional $15,000 for the Beginner Novice through Preliminary divisions, Stable View is pulling out all the stops to make this a top event. Both dressage and show jumping will be held in the facility’s beautiful rings, which feature state-of-the-art footing from Attwood Equestrian Surfaces. The new Advanced cross country course has been designed by Capt. Mark Phillips and professionally built by Eric Bull and his team at ETB Equine Construction. The Advanced horse trials will run as a one-day event on Saturday, with the Preliminary divisions also running on Saturday. Training, Novice and Beginner Novice will run on Sunday. Each Advanced competitor that completes the event will walk away with at least $500 in prize money. The winner of Advanced will take $17,500, with $15,000 for second, $12,500 for third and $10,000 for fourth. What else is going on during the weekend? We’ve got the scoop. Exclusive Course Walks: The new Advanced level cross country course will be unveiled in a ribbon cutting ceremony, and Capt. Mark Phillips and Boyd Martin will both lead course walks of the track. Richard Jeffery, who is designing the show jumping track, will also lead a course walk. A donation of $10 is suggested to join in on the course walks, with proceeds going to the Cumbee Center to Assist Abused Persons. Classic Car Show: It’s not every day you have classic cars at a horse trials. Aiken Horsepower will host its Fall Fling car show and competition on the grounds at Stable View during the event, with about 200 cars ranging from hot rods to antiques expected to be on display. Spectators and competitors at the horse trials can get in on the judging for the Fall Fling by casting a vote for their favorite car. Giant Jenga Game: If you’ve never played Giant Jenga, you’ll have the opportunity at Stable View. The rules are the same as the standard game, except you play with large blocks placed on a table. The Giant Jenga game will continue for both days of the horse trials, with competitors playing as teams of two people split into adult and youth divisions. Prizes will be awarded to the winners of each division. Fine Food and Delectable Drinks: You’ll never go hungry or thirsty at Stable View. Each afternoon Carolina Moon Distillery will host complimentary moonshine tastings, while River Rat Brewery will pour complimentary pints of its Oktoberfest microbrew and two more featured beers. R&L Vending will also serve up tasty barbecue and ribs all weekend long. Competitor and Spectator Perks: A Competitor Wine and Cheese Party will be held on Saturday evening, and competitors will also enjoy a two-hour Happy Hour with complimentary drinks. Spectators will have the opportunity to win even more prizes in the tailgating competition during cross country on Saturday. Plenty of Shopping: A slew of vendors will be on hand for shopping, including Theraplate, Voltaire Designs, Stubben Saddles, Four Star Saddlery, Shadow Trailers, Equestrian Fashion, Devoucoux, Plexus, Ginger Blossom Massage, Historic Aiken Reproductions, Sedgwick Gallery, Art by Susan McCarty, The Artful Equine and doTerra Essential Oils. We have to send a big shout out and thank you to the sponsors of Stable View’s Oktoberfest Horse Trials: Attwood Equestrian Surfaces, Aiken Saddlery, Nandina Home and Design, Dietrich Insurance, Land Rover, Equiterra Properties, Spring Meadows, South Star EMS, Sharer Dale Re/Max Tattersall Group and GGT. What are you waiting for? Go enter! Click here for the omnibus listing and here for more information on the horse trials on Stable View’s website. Entries close on September 13. Are you planning to compete at Stable View’s Oktoberfest Horse Trials? Let us know in the comments below. Go Stable View! Go Eventing.